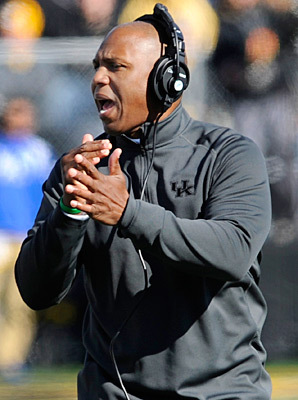 The University of Kentucky has announced that Joker Phillips has been relieved of his head coaching responsibilities effective at the end of the current season. Phillips, who is 49, has a combined three year record of 12-23 while leading the Wildcat program. Officials at UK have stated that the search of Phillips' replacement will begin immediately. With Kentucky's expected decision now made, it will be interesting to see where the SEC coaching axe will fall next and how quickly it will land. The domino effect may have begun.